Every fall along the East Coast, cruisers in crafts of all shapes and sizes make their way south under sail or power, headed to warmer climates for the winter. For most, the journey is just as pleasurable as reaching the final destination, as the trip may stretch for weeks or even months with many delightful stops along the way. Bald Head Island, it is often said, may be the most delightful of all. Located just two miles from where the Intracoastal Waterway brings mariners to the popular seaside town of Southport, NC, Bald Head Island is a renowned vacation destination for those seeking to combine stunning, natural beauty with the comfort of exceptional amenities. Cruisers who venture here simply follow handy navigational aids marking a deep-water shipping channel to Bald Head Island’s handsome, well-protected harbor. Recalling the ambience of traditional seafaring villages, the surrounding Harbour Village is populated by lovely homes and inns, casual restaurants, various shops, plus a welcoming, full-service marina. Also serving as homeport to the Bald Head Island Yacht Club, the marina offers dockside access to showers, laundry facilities, a ship’s store, fuel and electricity, as well as all this remarkable island has to offer. Among the most beloved features of Bald Head Island is the absence of cars. Visitors and residents arrive and depart by passenger ferry or private boat only, and travel the island’s breathtaking roads by golf cart, bicycle or on foot. This creates an easy, carefree environment that many boaters say is exactly why they went cruising in the first place. Conveniently, golf carts and bicycles may be rented just steps from the marina. Bald Head Island’s numerous beaches are world renowned for their beauty and pristine shoreline, and the championship golf course is highly rated by Links magazine and other industry experts. Marina guests may also purchase temporary membership in The Bald Head Island Club and The Shoals Club, with full use of the luxurious amenities of each. In addition to the dining and shopping options, Bald Head Island has a full-service grocery store, a lush day spa and too many outdoor excursion opportunities to list here. Suffice it to say, from SUP to kayaking, fishing to crabbing, nature walks to environmental science programs, you’ll find plenty to satisfy your urge to explore on the island’s 12,000 acres— 10,000 of which are unspoiled beach, marsh and maritime forest preserves. So if you’re traveling along the Carolina coast by boat, or just a local weekend cruiser, don’t miss this beautiful barrier island paradise. We’re standing by on VHF channel 16, ready to welcome you ashore. 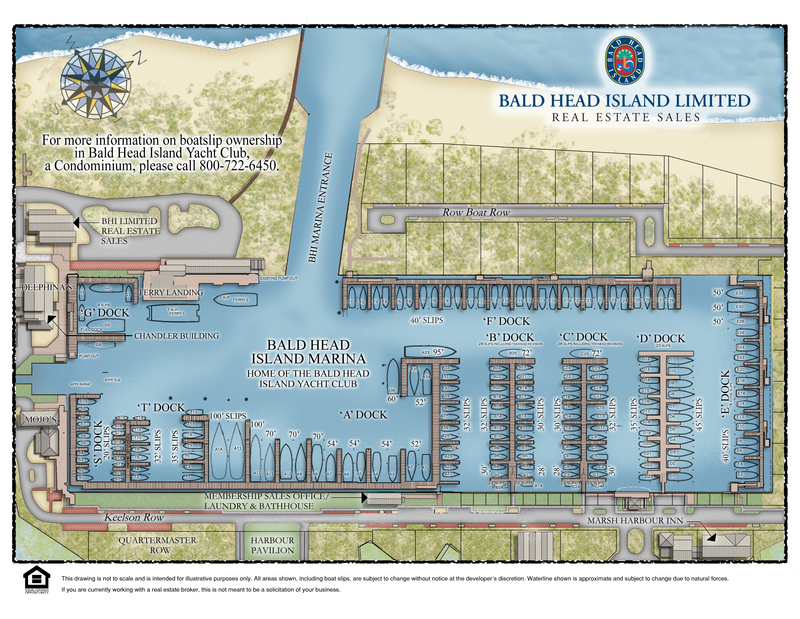 For information on rates, visit the Bald Head Island Marina web site. You can even download a map of the marina showing slip lengths and numbers. To reserve a slip in advance, call 910.457.7380 or email dockmaster@bhisland.com. The final remaining slips for sale in the Bald Head Island Marina have just been released for sale. To inquire about a slip purchase and membership in the Bald Head Island Yacht Club, call 800-888-3707. Join Us April 18-22 for Easter Weekend on Bald Head Island. It Will Be Hopping!